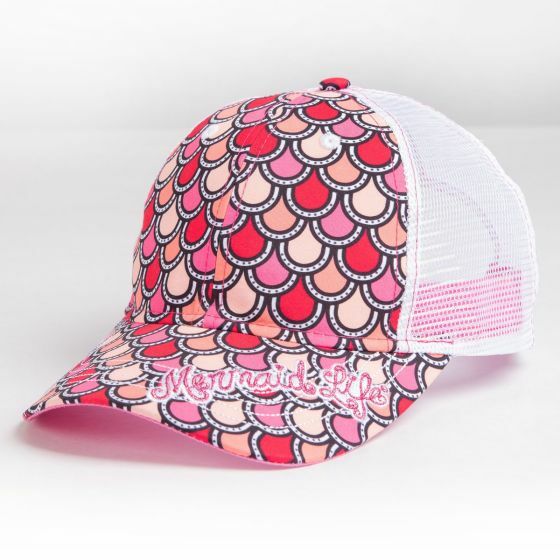 Playful mermaid scales in shades of pretty pinks beautify this Mermaid Life® cap for women, perfect for the sporty yet fancy mermaids who need a bit of shade while exploring all the shoreline has to offer! 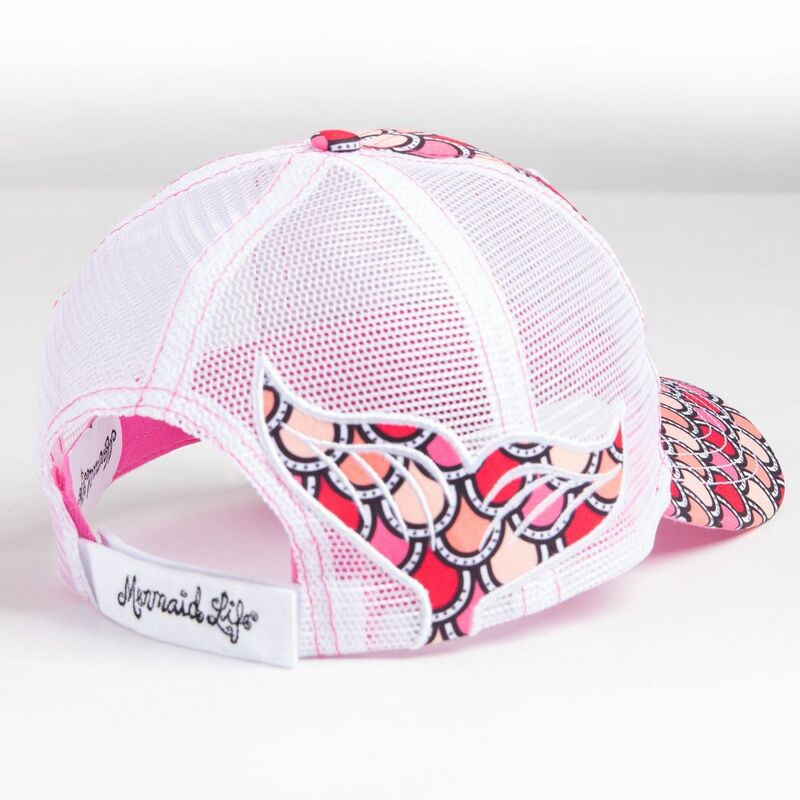 Fishing for a premium-quality baseball cap created just for mermaids? This mermaid-scale cap featuring an array of pink hues and elegant “Mermaid Life” embroidery is just for the sea sirens looking to up their game on land! The white mesh back adorned with a mermaid tail detail on the side provides plenty of cool comfort on the hot days. Plus, an adjustable closure helps provide the perfect fit for women.